Hi! My name is Bongo. I’m a dog who loves getting into mischief and having adventures. I also love people and like to share what I’ve been up to. On Sundays I tell Bible stories. Well, my person tells them to me and I make comments. I’m sure you’ll find these Bible stories much more understandable because of what I add to them. If you click on the “Dogology” link you’ll find all of my Bible stories in one place. Hi Bongo. Check out my latest post. I have given you two blogger awards. You deserve them! Shirley, I was glad I could find you and get that collar back to you. I checked out the photos on your Facebook page. Looks like your dogs love the water too. I learned of your blog from rachelmankowitz — her blog lists yours as one of her favorites. I certainly had a good time reading your posts and seeing the photos. You might mention to your human that I also have a blog at http://www.maijaharrington.com where I’m posting chapters from my book-in-progress, Funny Tails: Adventures and Misadventures in Living with Pugs. It’s a lighthearted look at 10 years of living with these flat-faced, frog-eyed little gremlins and providing foster care through Pug Rescue of North Carolina. Lots of folks like the book and think it’s funny, so she may enjoy it, too. In the meantime, I look forward to new posts from you! Hi there, would you be interested in being a guest blogger on my blog? If so please contact me via email at talkzcheap@yahoo.com. You can add a link to your blog and any photos etc that you would like. I thought it would be nice to share your story of how you came to own Bongo maybe in his words since that is how you write. Take care and God bless! This is a terrific blog. I love reading the dog’s point of view so I nominated you for the Versatile Blogger Award! Thanks so much Sandy. I’m honored. I enjoy your blog so much, I am passing along to you the “Versatile Blogger Award”. Details at http://cosytravels.wordpress.com/2011/10/27/the-versatile-blogger-award/ Thanks for the great reading, thesweetkitten! Thanks Sweet Kitten. I enjoy reading your blog too. I found you through Bassa’s blog. You’re quite mischievous but dogs ought to be like that, I think. Looking forward to reading more about your “activities”. Nel, glad you found me. Bassa’s one best dog blogging friends. I have nominated you for an award. Please follow the link to my blog: http://directionallyimpaired.wordpress.com/honors-and-gratitude/. Thanks so much Nel. I’m honored. It may be a few days before I can pass it on, as this is a busy week for us. Sweet Kitten, thanks so much. My person said thanks too and asked me to tell you that since she is with family for Thanksgiving this week she won’t be able to help me pass this on until next week. Hope you found a nice meaty bone over at rumpy’s and thanks for visiting! Sunshine, I think Rumpy’s saving that meaty bone for Christmas. Not sure if I can wait that long. Dianda, thanks for stopping by. Nice to meet you too. Hey Bongo…its so nice to meet you. Its lovely to read about your views. Nice to meet you Epizeuxis. Thanks for stopping by. What a delightful idea for a blog! Thank you Fergiemoto. It’s been great fun. I stopped by your blog too. Hi Bongo! I found you through Miss Whiplash’s blog as she has just nominated you with the Liebster Award, so thought I’d check you out. I know I’m going to enjoy your blog because it’s all about you, and you look so cheeky in your photo, I couldn’t resist that little face! As you can see from my blog, I am passionate about pets, so we should get along just fine! Barb, thanks for stopping by and commenting on my blog. I’ll check your out too. Bongo, you make me smile! Your doggie perspective lifts my spirits and makes me enjoy hanging out with own two furry friends that much more. Thank you! Subscribed! Thanks for stopping by, commenting, and subscribing Mom. I’m glad you like my blog. I’ll send my person over to check out yours as well. thnx for stoping by my blog n commenting….!!!!!! Hi Bongo! I recently finished a good book about a dog named Hola. I thought your person might be interested in it. It’s called Bad Dog (A Love Story) by Martin Kihn and came out this year. You are such a good blogger Bongo!! Thanks Katyoparty. I’ll tell my person to look for that book. Ankita, thanks for stopping by and saying hi. I’ll stop by and visit your friends on your blog. 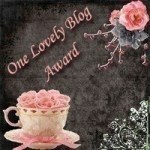 I enjoy your blog and have awarded you a Versatile Blogger award: Her is a link to the post. We have some Giveaways! We would like to offer you and your audience 5 free FurCode Pet ID Tags. FurCodes are a smart modern upgrade to the dog tag of previous generations. Each tag links to an online Pet Profile allowing pet owners to keep their pet’s contact, vet and care information current. We invite you to check out FurCode.com to see how they work. They’re pretty neat. Please let me know if you are interested. We can ship the FurCodes worldwide on your behalf. I would like to pass this HUG Award http://wp.me/p1RzUf-Dg to you. Thank you for making this world a better place–fun at least– with all your adventures and spiritual lessons. Woof! Woof! Thanks Sunshine. I think this is one of the best awards I have ever received. I want to thank the person that gave it to you as well. You truly deserve it. Windupmyskirt, I’ll make sure we check out the tag when my person and I are reading blogs later today. Well, Bongo, you are the very first pooch I’ve ever left a message for, and I’m kinda diggin’ that 🙂 What a lovely little slice of doggy heavy you have here. Enjoying your perspective – thank you! Anne, thanks for being brave enough to leave a message for a dog. Glad you’re enjoying my adventures. We stopped by and checked out your blog too. Very nice. I’ve tagged you. Feel free to play along or just ignore it. I know they take time to put together!! Thanks for thinking of me Cee. I’ll have to work on my person to help me answer the questions. Thanks for stopping by and commenting Grateful Fairy. Hi Bongo! Nice to meet you. My name is Captain. Captain, it’s great to meet you. Thanks for stopping by and saying hi. Thanks so much for the award. My person has been hiding my awards lately. It’s that “busy” thing, but she says she’ll get to them eventually. I keep telling my person to stop doing her busy things and just take me on more walks. Thanks Ulla. I’m passing the hello onto my person right now. Thanks Yashikibuta. My person is way behind in posting my awards, but she’s keeping track for me and says she might get unbusy enough to do it soon. We are the Feedimal team, a group of pet lovers who are passionate about bringing new technology to the pet industry. We have developed a programmable touchscreen pet feeder which deliver food at your selected time and helps to regulate your dog/cat diet for a better living. The prototype is fully working and we are now looking to go under mass production and get our product on shelves. Feedimal is launching on http://www.indiegogo.com/feedimal, a popular fundraising website. We have spent so much energy in creating what we believe is a great and useful product for dogs and cats, we really hope you can share our news with your friends and valuable readers. We will be forever grateful for your support. Hello Bongo, I thought you might be interested in seeing Damage done here on Long Island due to Hurricane Sandy. These photos were taken in our neighborhood. Mother Nature can be very Humbling even to the strongest person. Alex and Penny, so glad you are okay. Did you get snow from the next storm? Yes we did Bongo…5 inches!! !, You would have LOVED Playing in all that snow!!!…:-). But every time you would here a Tree Limb Snap, you would come home running. I know because Penny did. Some homes lost their power a second time for another day or 2…very stressful, but we made out Ok. Us New Yorkers are pretty resiliant. Woof, Woof and Woof! Penny, that would be really sad having to worry about tree limbs falling on you when you wanted to be having fun in the snow. I can’t imagine finally getting your power back just to lose it again. How frustrating! Thanks so much for passing on the award to me. My person is usually pretty slow about putting my awards up so I’ll have to get on her. Thanks so much Tutti. My person is way behind on helping me post awards, but I’ll get on her. Bongo…I have been posting on your blog for a several days, but they do not seem to show up. Bongo, I have been posting on your blog for several days now and nothing is showing up!!! Alex, Trish, and Penny, it looks like you figured out what was wrong. If you don’t put in your name and info I have to “Accept” the post before it will show up – but they’re all showing up now because I accepted them. Love your photos of Bongo…cute dog! When you get a chance, can you send me an email? I’ve got a couple questions for you. Thanks. Will send an email along. Vanessa, it’s great meeting you. Thanks for stopping by and commenting and thanks for the follow. I am looking to network with animal advocates and would like to get in touch but can’t find an email address. If you could drop me an email, I would appreciate it. Thank you. I’m having Mom type this for me since my paws don’t really create words. You have so many fun adventures and Mom and I love reading all about them. I’m sorry you have to deal so much with Scratchy, but maybe this will help you feel better. I have nominated you for THE INVENTIVE BLOGGER AWARD. PS: I had Mom slip you a treat at the end of the post. Thanks Kimberly and Wall-E. It’s such an honor to know that you like my blog enough to give me an award. That treat was pretty good too. Thanks so much Kolytyi. What an honor! Hi Bongo! you are so cute! I love reading about your adventures. I hope you will look at my blog too. Maybe your person will order you a sample of my dog cookies? 2 Dogs, your blog is making me drool. I’ve got to talk my person into getting me more treats. Thanks for stopping by and commenting. Hi Bongo! Some of your photos make me think you might be in our relative neck of the woods… what State are you in? Run a Muck, I live in Arizona. What about you? Thanks for stopping by and commenting. We and Kyla (fellow blogger) are in New River. Didn’t even know we were such near neighbors. Far Fetched Friends is in Mesa. We met through our blogs and have done dog walks as a result. Where are you? Run a Muck, we’re in Sedona. My younger person has an apartment in Chandler but he’s mostly in Sedona right now because he finished school. What’s your blog address? It’s not showing up with your comment. I came across your blog, and thought you might be interested in helping us spread the word about a way for No kill shelters to receive free dog food and help pups get adopted. Please email me at rachel.bartholomew@alcone.com for more details. Just found you. Awesome blog. Now Following you. TheDailyJuniorDogBlog. Part mindfulness, part mischief. Heavy on the mischief. Did I mention, I love your style? Junior and Jill, thanks for stopping by, following, and commenting. I apologize for taking so long to reply. My person was really busy last week and my paws don’t fit very well on the keyboard. What breed are you Bongo? Quinlyn, at the shelter where my people found me they said I’m a pointer mix. I think that means I’m all mixed up. Yes. Tula is a mix between a Jack Russell Terrier/ Dachshund mix. Momar is just a pure bred Chihuahua. What was the shelters name where they got you? The dog jail I was at is called the Sedona Humane Society. It’s a small local shelter. Did you get my message from FB? it’s my mommy’s side but its still me. Can you look at my site? its all about dogs to. What a cool site. Walks and treats. What better things could be on a website? How did your Human get all those Blog awards? She has a lot. When I first started my blog my person had more time and she read lots of blog posts and I made lots of blogging friends. Then some of those friends started giving me awards. Now my person doesn’t even have time to post awards when I get them. I left you a message through FB. Did you get it yet? My secretary person is just catching up with all my messages. I did get the FB message. I won’t let my person leave the computer until she answers it. Did you get my messages the other day? Did you already respond to them and they just didn’t come through? If yes, can you send the message again. I didn’t get it. Just in case if you don’t get my message from FB faster I’m just wanting to send it via wordpress thinking it would be shorter time waiting for your message. Tula, I don’t know when my birthday is because I was about three years old when my people rescued me from dog jail the shelter. So I celebrate my Gotcha Day instead. My Gotcha Day is February 6th. Can you take a look at my new blog? My Dog Momar? In these stories I will call Tula: Tula The Wonder Dog and Momar: Momar The Great. Quinlyn, my person has been so slow lately, but I finally managed to get over to your blog. Great! Can you follow it? That is coming up very soon. I’m happy for you. Woo hoo, that’s right. And my younger person might be home for a few days then. I think I’ll have a party. We got Tula from the Marin Humane Society– as you probably see because I posted it already a bunch of times. Bongo Greeetings from the professor! How are you this fine morning? Hi Professor. I’ll be much better as soon as all the thunder around here goes away. How are you? Do you have time to chat during the week? I see that you accept advertising and would like to set a time to discuss having you become an affiliate for Spalding Labs. We offer dog owners one of the best ways on the market to organically control flies as well as another product that organically controls dog urine odors. We’re looking to team up with bloggers such as yourself. We currently offer a 15% gross commission across all your publishing platforms and would like to discuss the potential of a mutually beneficial relationship, where you would receive free product to try as part of the effort. Please contact me at: bsummers@equilink.com or ring me at: 626-375-4043 at your convenience. Merry Christmas to you too Marina. I got lots and lots of treats today. But no walk. My person said she’d rather stay in and watch movies because it was blowy and cold. We even had a few snowflakes. Where art thou, sweet Bongo! I know you’re on fb, but I’m not much of an active fbbian, so I sincerely hope you return to your regular post here!!!!!!!!! Marina, I’ve been thinking about you. I miss you too. I’ve got to do something to get her to let me post on my blog again. I tried yanking her arm out of her socket – well, I was really trying to get the quail on my trail – but nothing I do has worked so far. Have you tried ‘the look’?! I hope Loretta’s feeling better by now. I’m working on ‘the look’ but I think my person just thinks I’m afraid of the thunder. That nasty thunder has come back. One ‘good thing’ that came out of Loretta’s illness is that we tried homeopathic treatment and a great ‘side effect’ of it was that she seems to be much braver with thunder and fireworks! Other than that she is gradually [albeit slowly] getting better. Downloadable App Store magazines with a combined readership of 169,600 caring dog lovers. Your Bongo Dog Blog was recently brought to our attention. We would be able to promote your blog (for free) to our readership whilst allowing our dog-loving readership to benefit from your thoughts and knowledge regarding all aspects of dog care. Our March edition is being finalized and we would love for Bongo Dog Blog to feature prominently. When would be a good time to speak more about this? PS – There is no charge. Our goal is to share quality information and knowledge regarding all aspects of dog care with our readership. Best Dog Blogs of 2016. Thanks Bobby. I’ll have to talk my person into getting a puppy so I can train it.